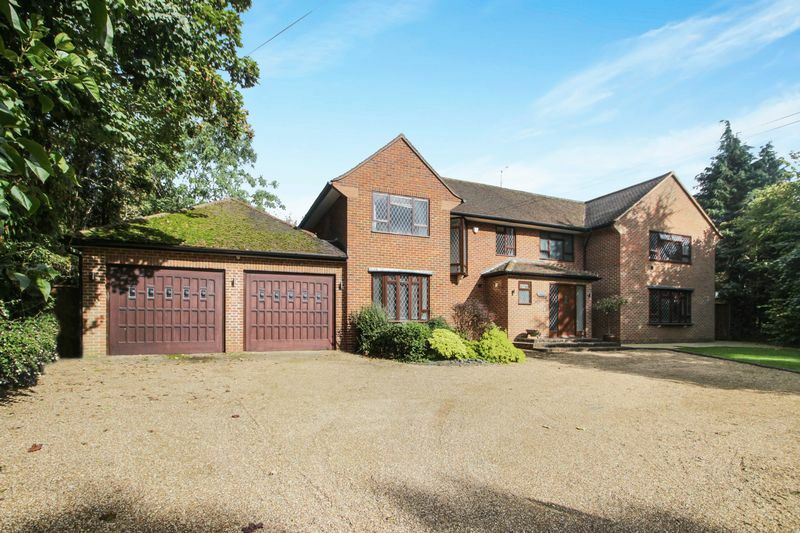 Located to the South side of Ashtead Village and in one of the areas most exclusive private roads. 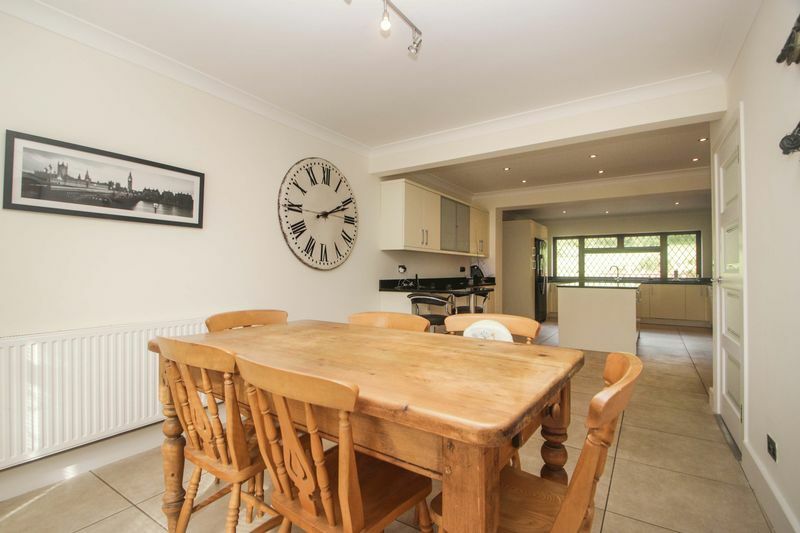 A substantial detached house, much improved and extended by the present owner and offering superb, well proportioned family accommodation. 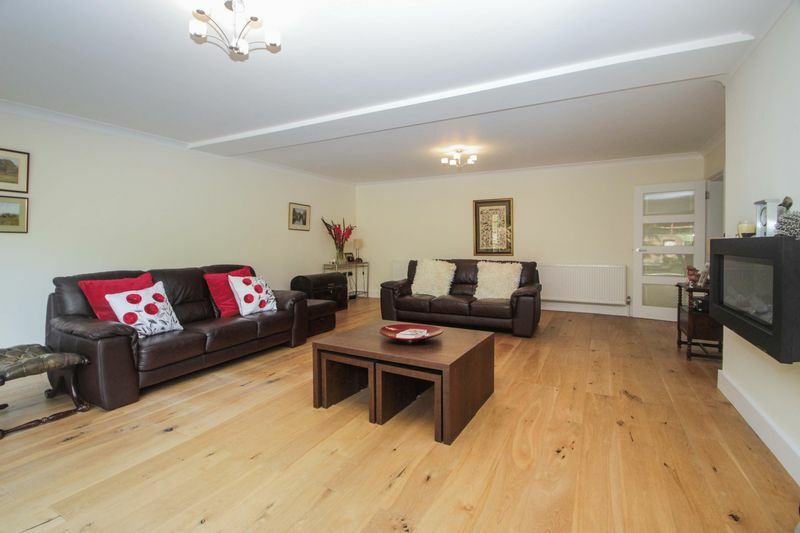 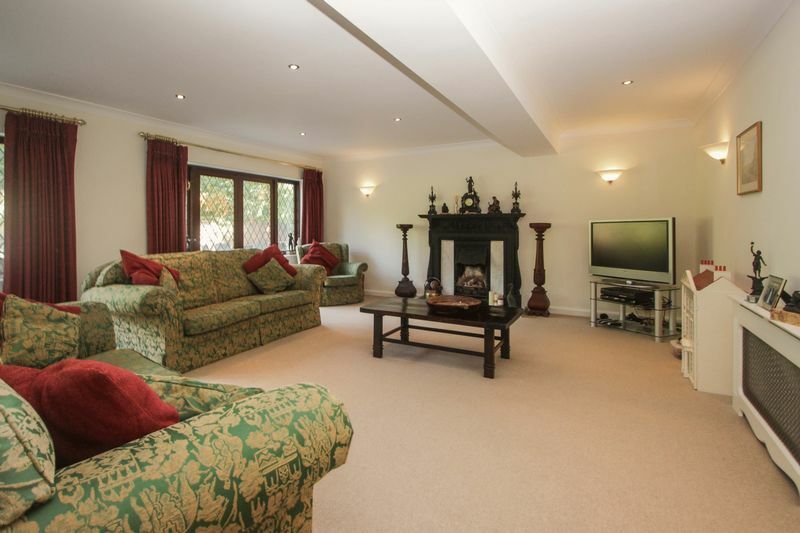 The property offers a large reception hall with a cloakroom w/c. 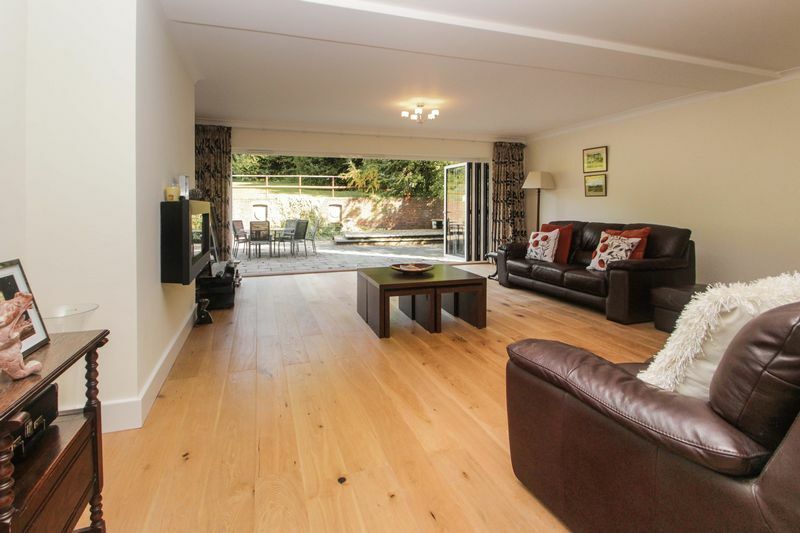 The beautifully presented lounge features a Victorian style cast iron fireplace and two pairs of casement doors to the rear patio that is ideal for entertaining. 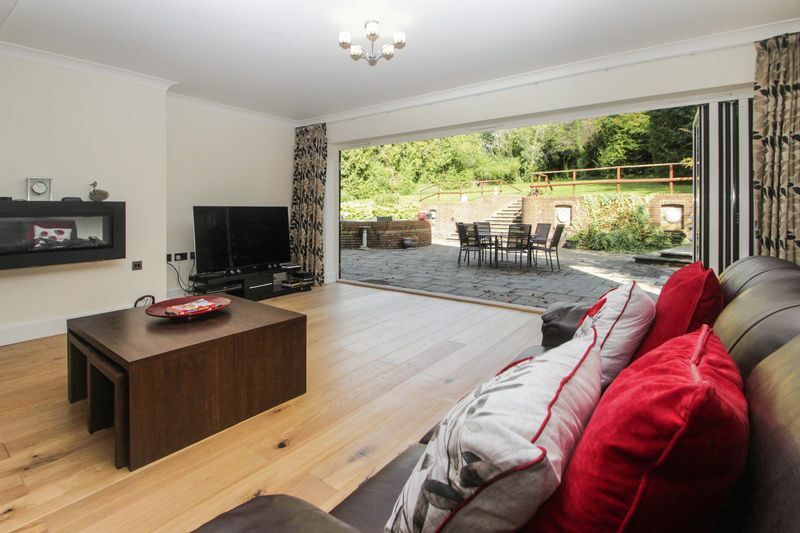 A magnificent family room with a wall mounted log effect fire and panoramic full width folding doors that open directly onto the rear patio and gardens beyond. 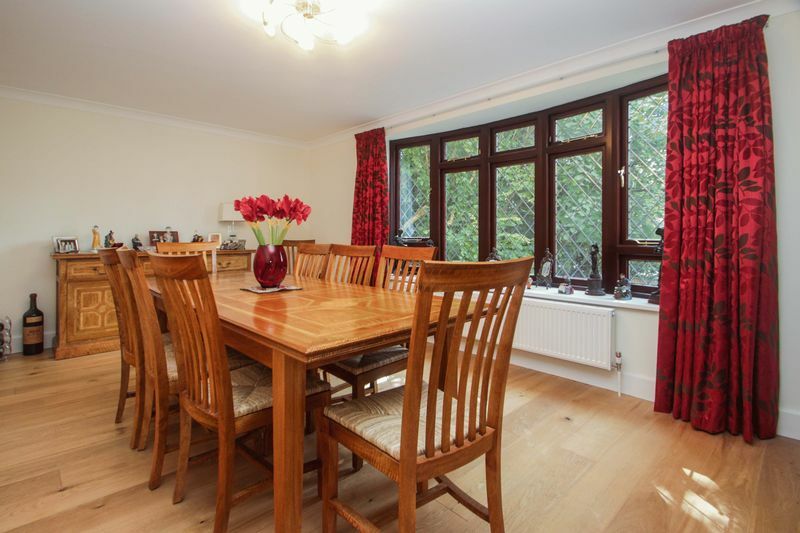 There is a separate dining room with a wide window overlooking the front gardens. 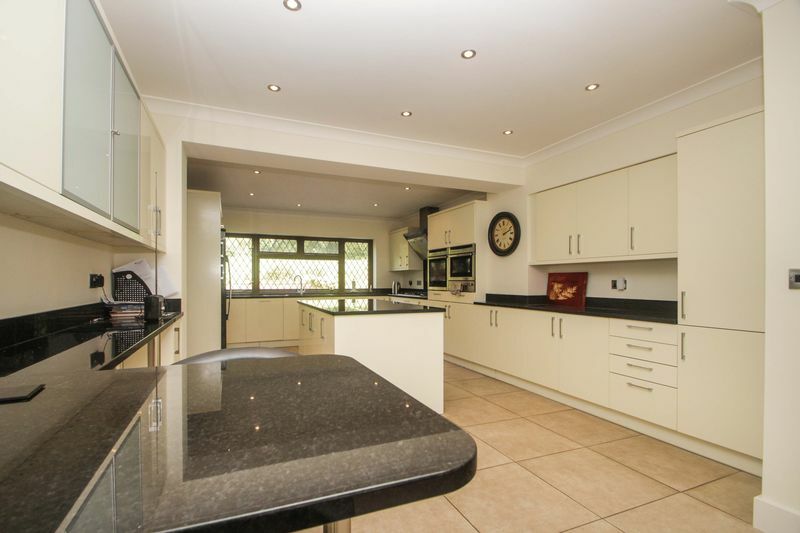 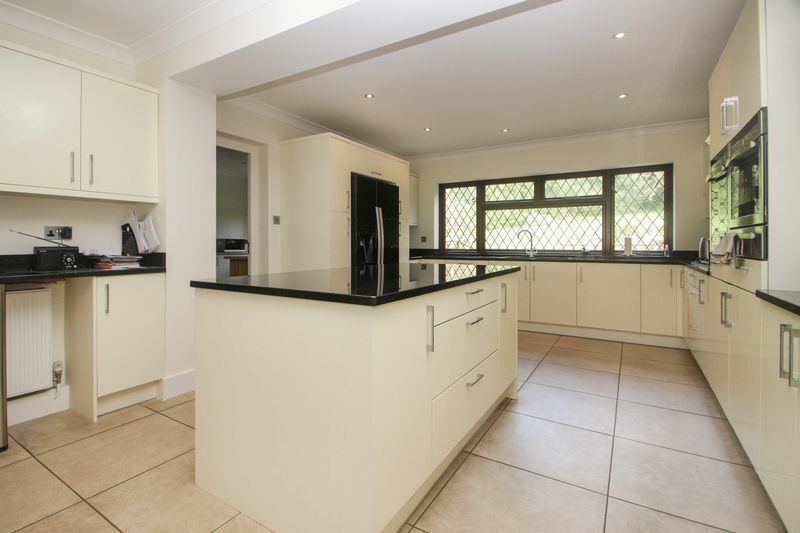 Luxury fully fitted Kitchen/Breakfast room with an Italian tiled floor and a range of base and wall units with a central island and breakfast bar, all granite topped. 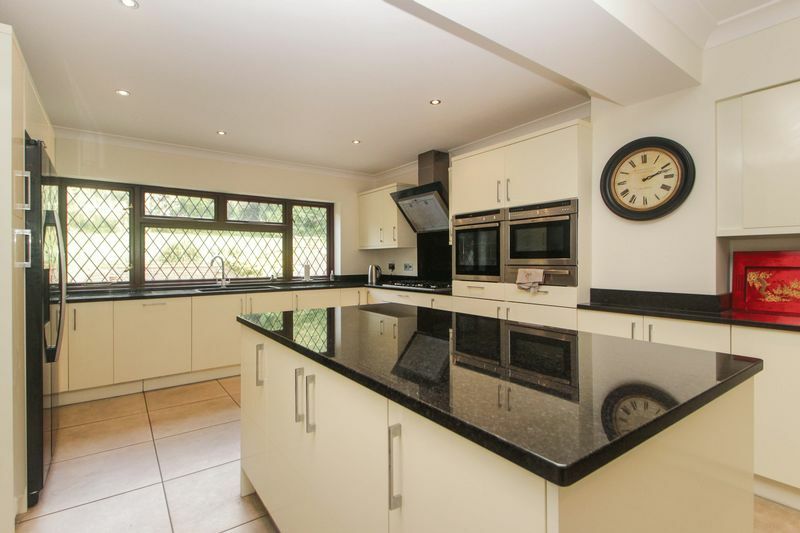 Range of inset appliances to include five ring gas hob, twin ovens, dishwasher and American style fridge freezer. 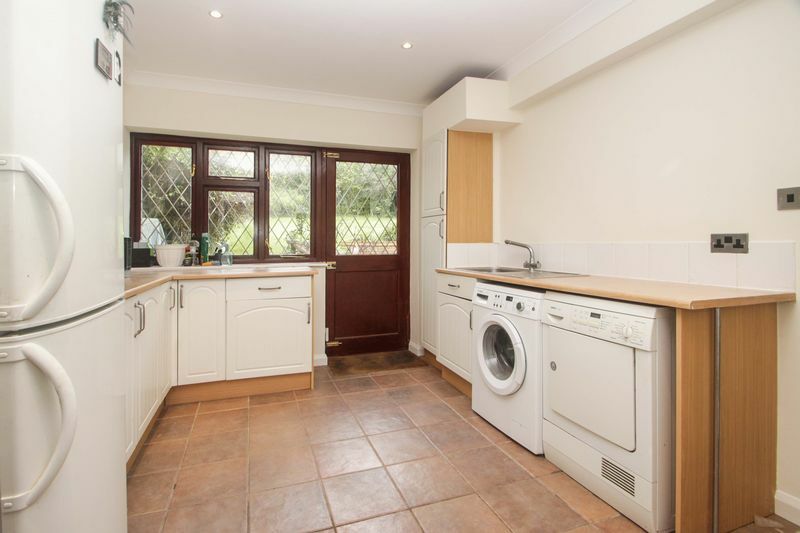 A large and useful utility room with a further range of units separate from the kitchen and providing plumbing and space for washer and tumble dryer. 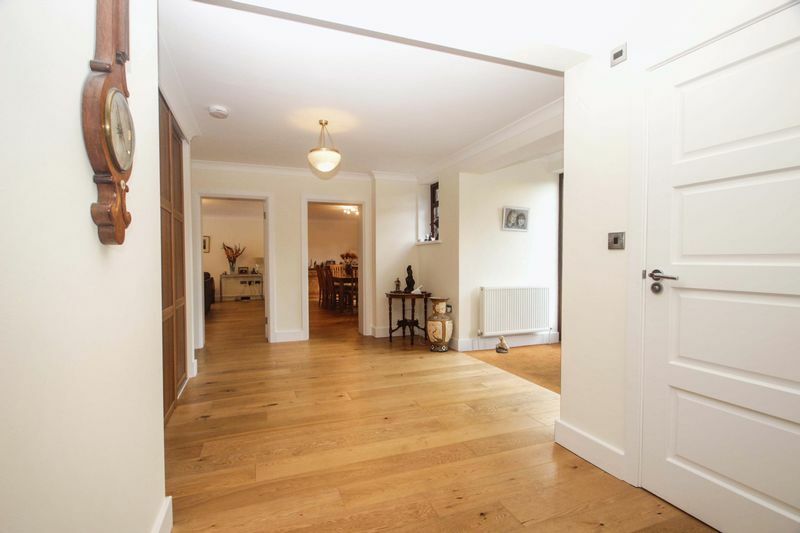 Lobby with w/c and door to the integrated double garage with twin electronic doors. 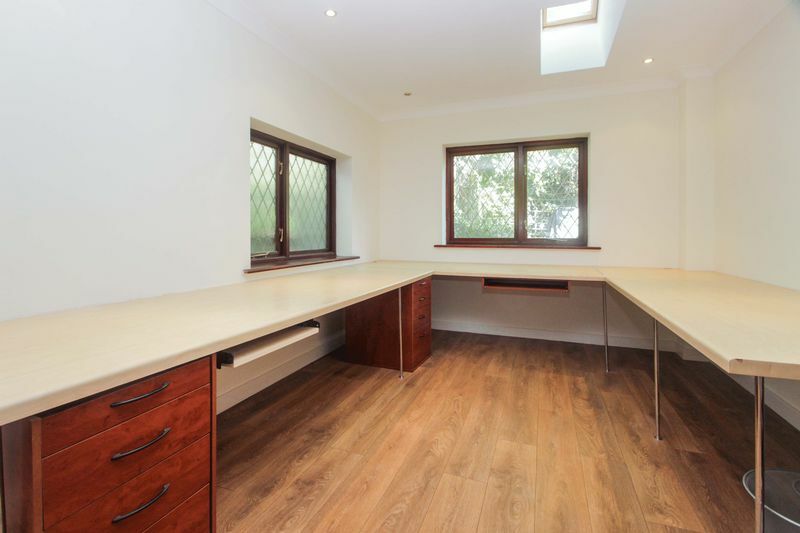 The ground floor benefits from a fitted Study with wood laminate floor. 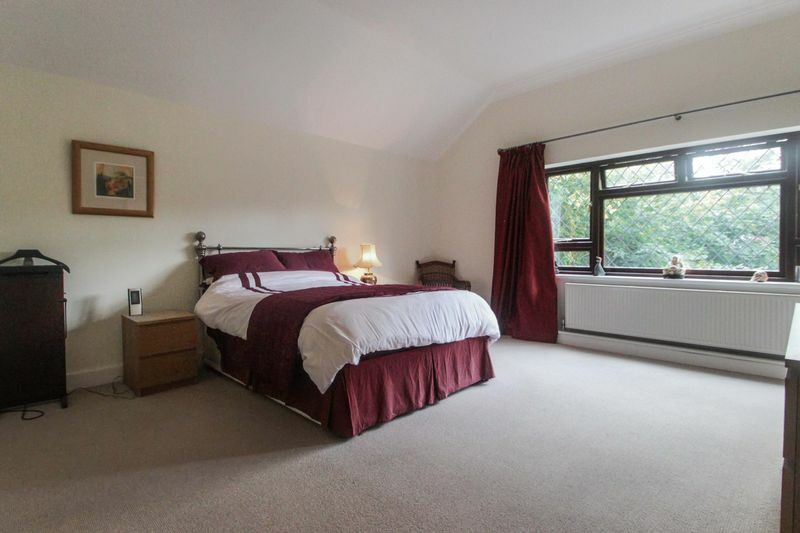 Upstairs, a large landing leads to a Master Suite comprising: bedroom with vaulted ceiling, dressing area and en-suite shower room. 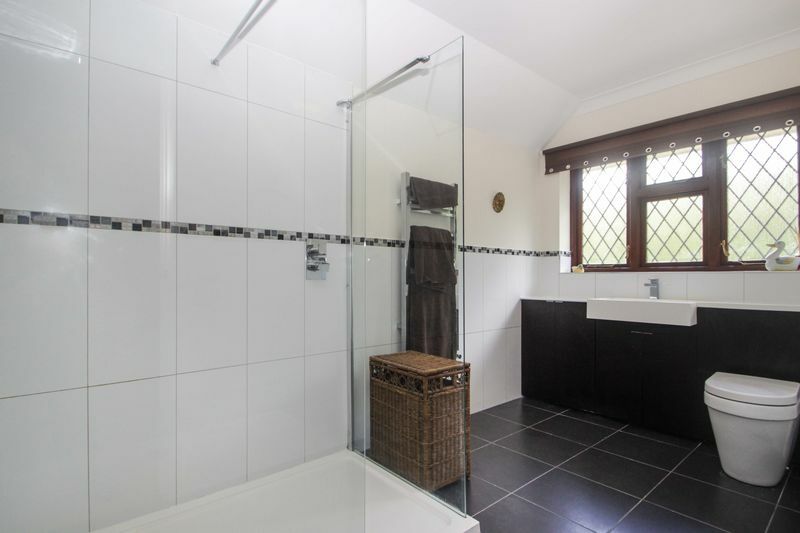 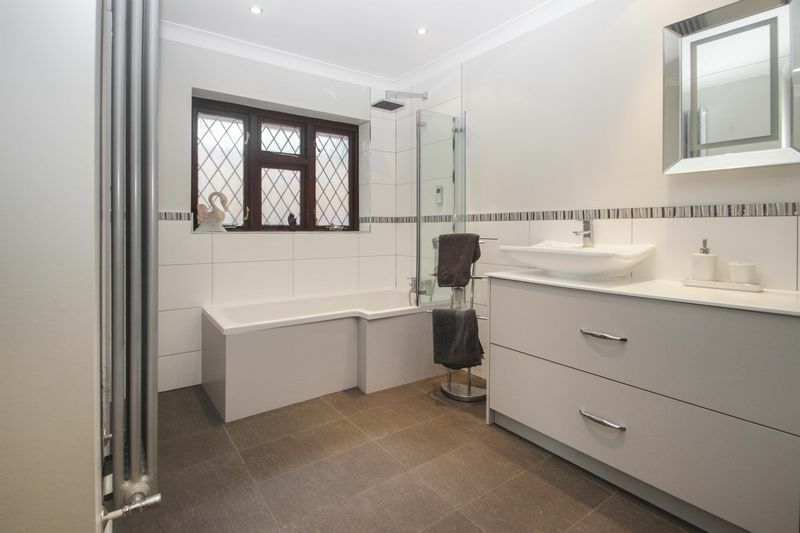 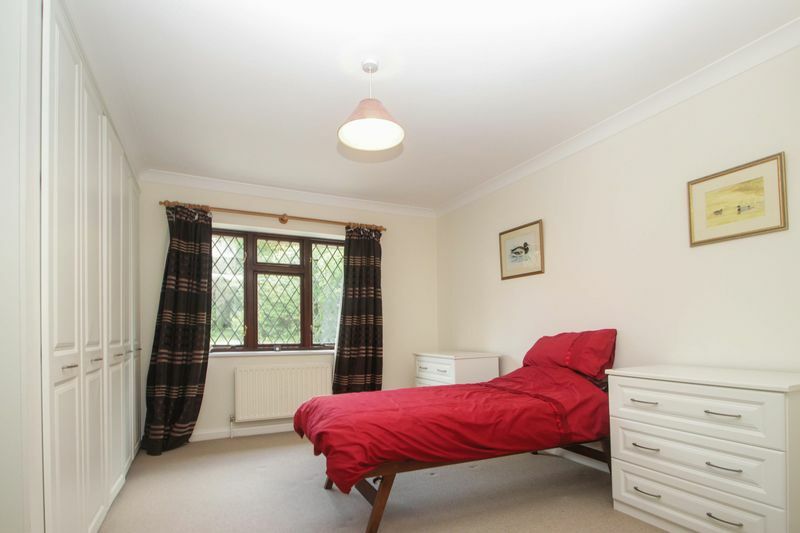 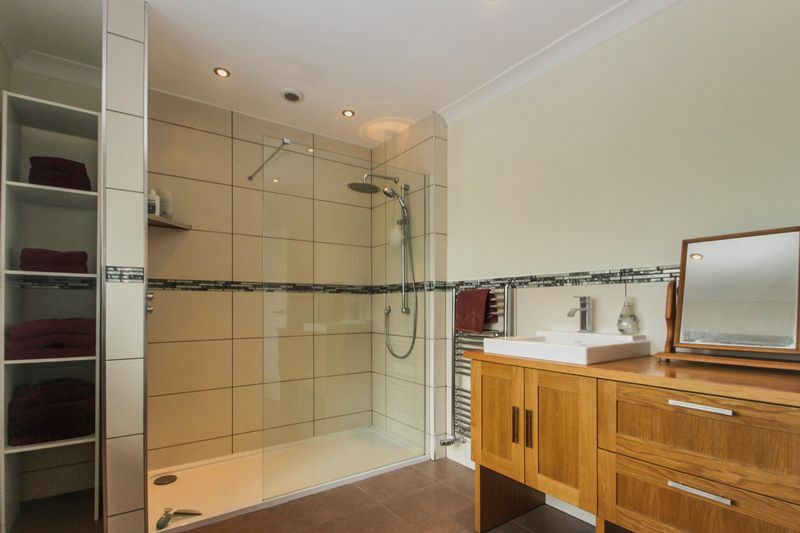 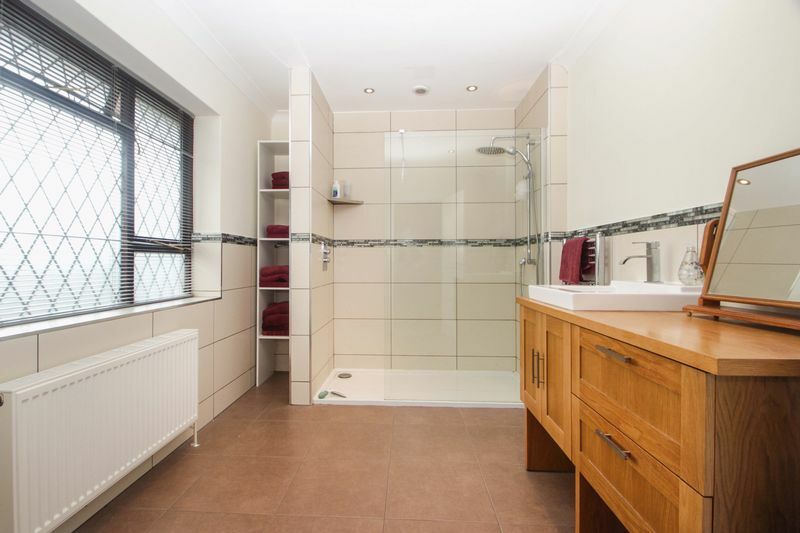 Three further bedrooms with en-suite shower rooms, a boxroom/ironing room and a family bathroom. 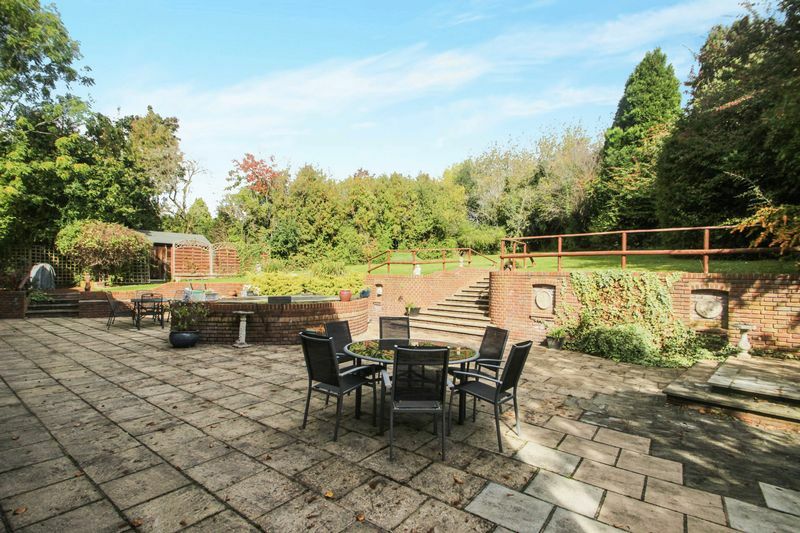 The front garden is approached through wrought iron gates with extensive parking, turning areas and side lawn. 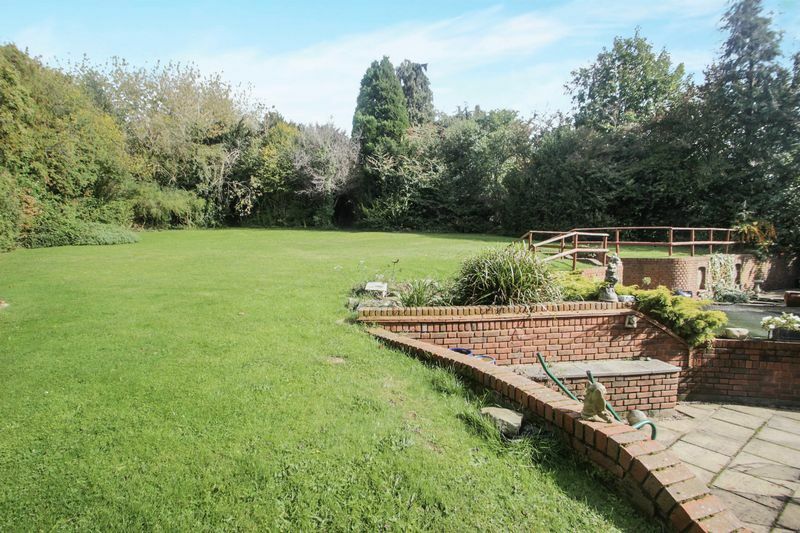 The rear garden has a deep, full width patio with raised BBQ deck and concealed shed. 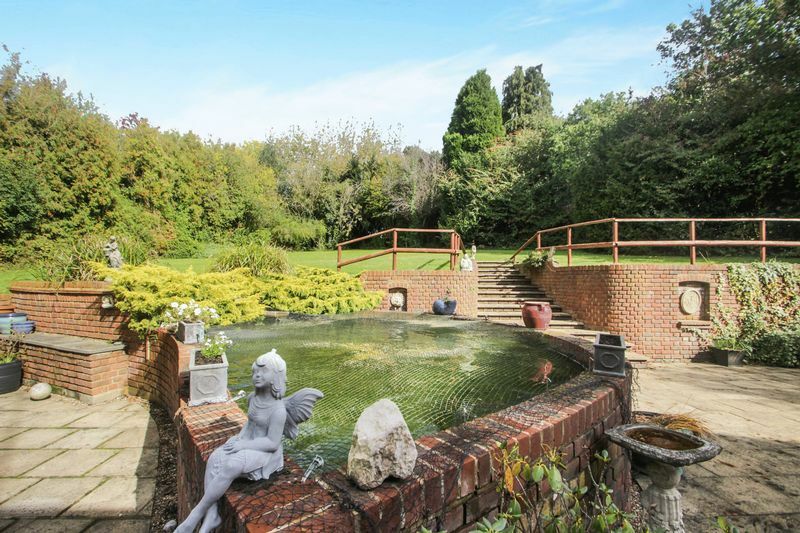 Central water feature with fish pond and rockery waterfall. 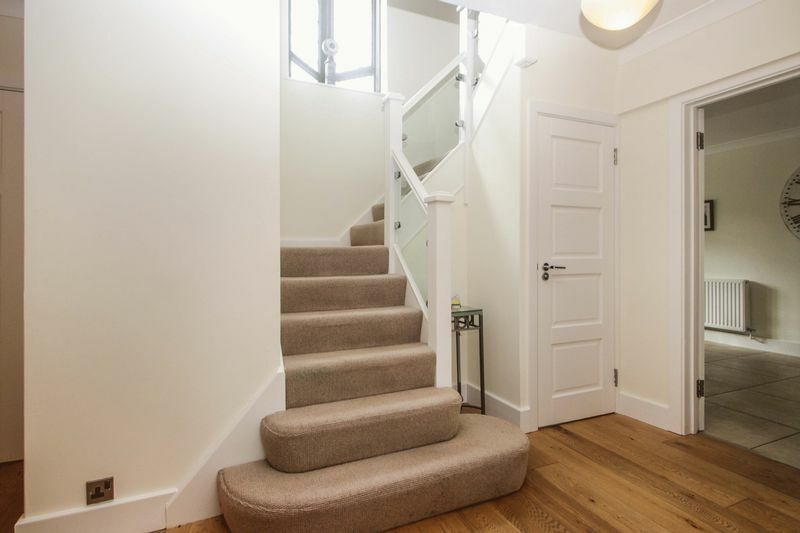 Central steps to lawn beyond. 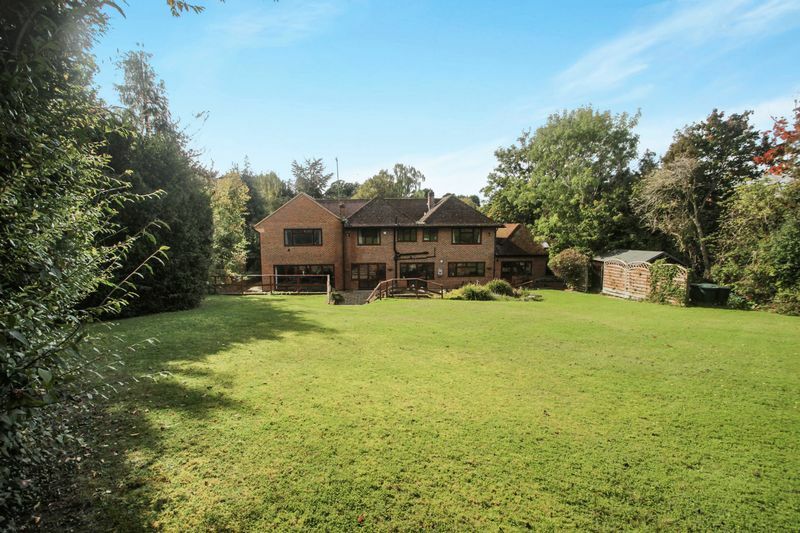 All well secluded by mature shrubs and trees. 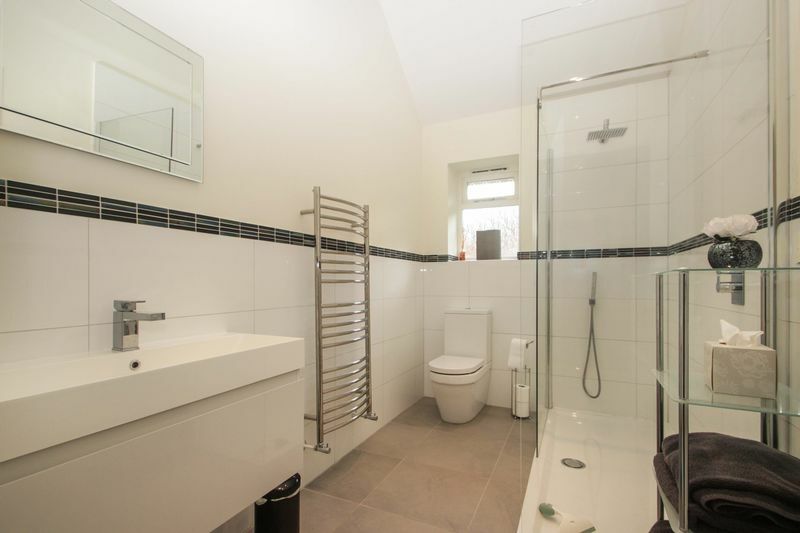 Additional features include, Oak flooring to main reception areas, recently refitted twin boilers, double glazed windows, five refitted bathrooms. 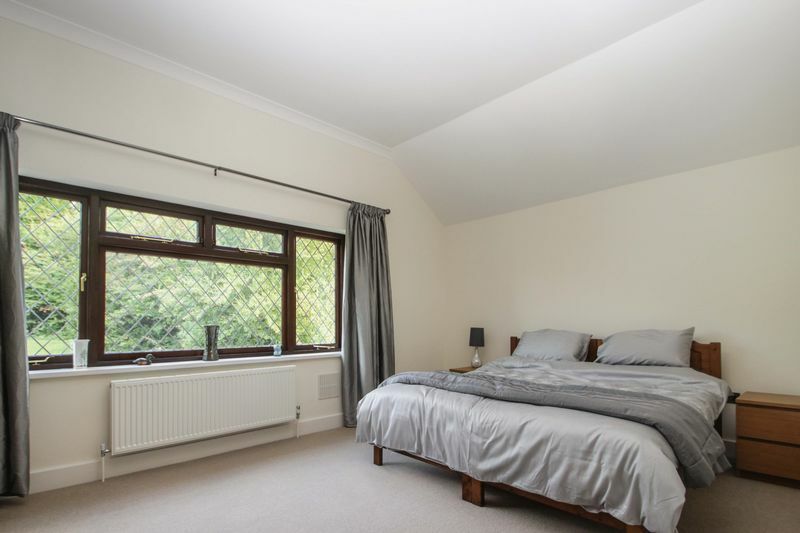 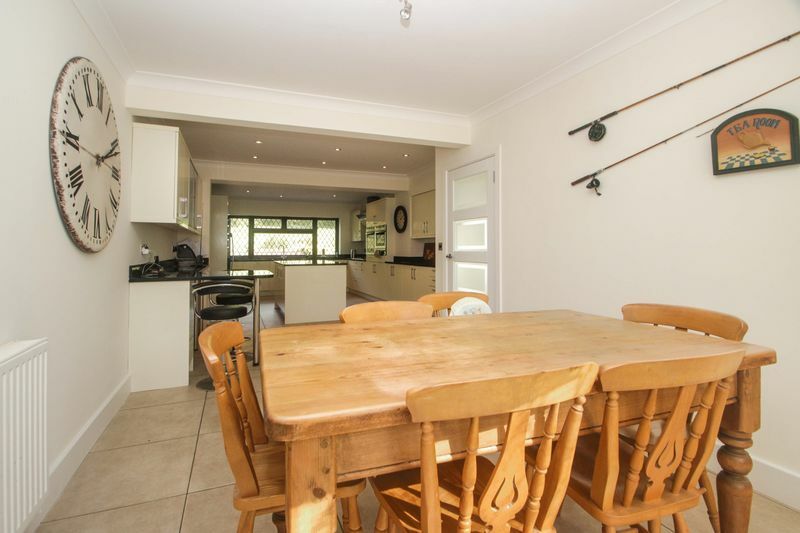 The property is under a mile from the Village centre and shops and within easy reach of Ashtead Station (London Waterloo in about 45minutes) and a five minute drive of J9 of the M25 with Gatwick and Heathrow in about 30 minutes. 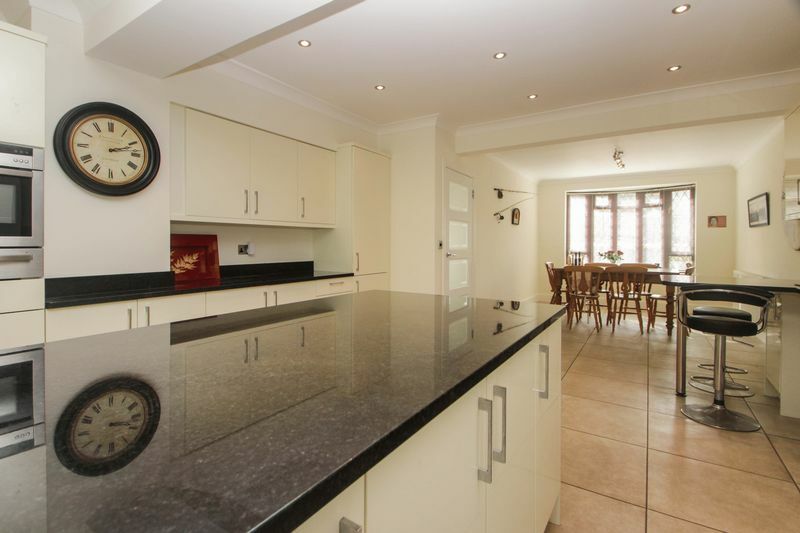 There is wide choice of highly rated state and private schools. 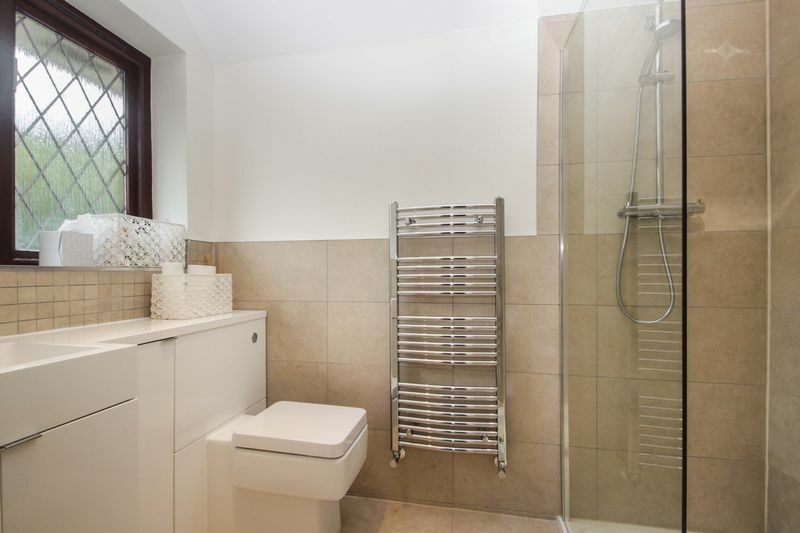 City of London Freemen's School is within a short walk. 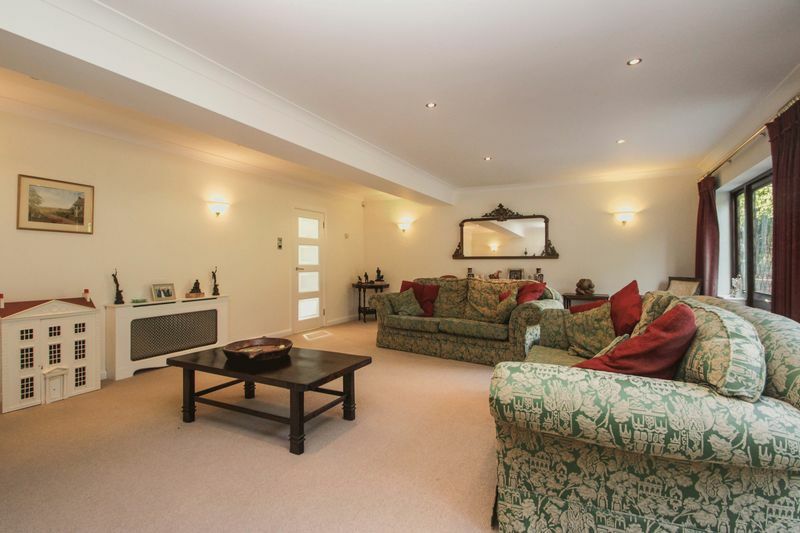 Epsom Downs racecourse, the RAC Country Club and Ashtead Common are all close by.